Tyrone, age 62, has rheumatoid arthritis that causes chronic pain and a mobility impairment that prevents him from walking long distances or climbing stairs. He also has a hearing loss that prevents him from understanding ordinary conversation without the assistance of a hearing aid. He is a lawful permanent resident, but not a citizen of the United States. What are key issues for Tyrone in selecting healthcare insurance coverage? 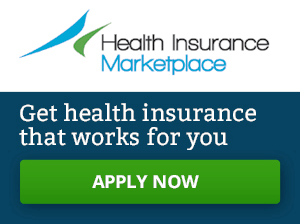 Is Tyrone eligible to purchase healthcare insurance through the Marketplace? Possibly. Lawfully residing immigrants such as permanent residents who are not enrolled in Medicare are free to purchase healthcare coverage through the Marketplace. Tyrone might also be eligible for subsidized health care coverage if he meets the income level and residency requirements. Is Tyrone eligible for Medicaid? Are hearing aids covered under the plans that are available to Tyrone? Would Medicaid cover hearing aids if Tyrone is eligible for Medicaid? Possibly. About two thirds of state Medicaid programs cover some or all of the cost of hearing aids. So Tyrone’s access to coverage for some or all of his hearing aid costs depends on his state of residence.